Chemical toxins have been a persistent source of evolutionary challenges throughout the history of life, and deep within the genomic storehouse of evolutionary history lay ancient adaptations to diverse chemical poisons. However, the rate of change of contemporary environments mediated by human-introduced pollutants is rapidly screening this storehouse and severely testing the adaptive potential of many species. In this chapter, we briefly review the deep history of evolutionary adaptation to environmental toxins, and then proceed to describe the attributes of stressors and populations that may facilitate contemporary adaptation to pollutants introduced by humans. We highlight that phenotypes derived to enable persistence in polluted habitats may be multi-dimensional, requiring global genome-scale tools and approaches to uncover their mechanistic basis, and include examples of recent progress in the field. The modern tools of genomics offer promise for discovering how pollutants interact with genomes on physiological timescales, and also for discovering what genomic attributes of populations may enable resistance to pollutants over evolutionary timescales. 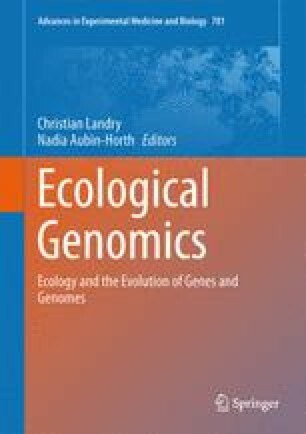 Through integration of these sophisticated genomics tools and approaches with an understanding of the deep historical forces that shaped current populations, a more mature understanding of the mechanistic basis of contemporary ecological-evolutionary dynamics should emerge. Toxins are chemicals that exert toxic effects at sufficiently high doses, and that are natural products of biosynthesis by organisms.